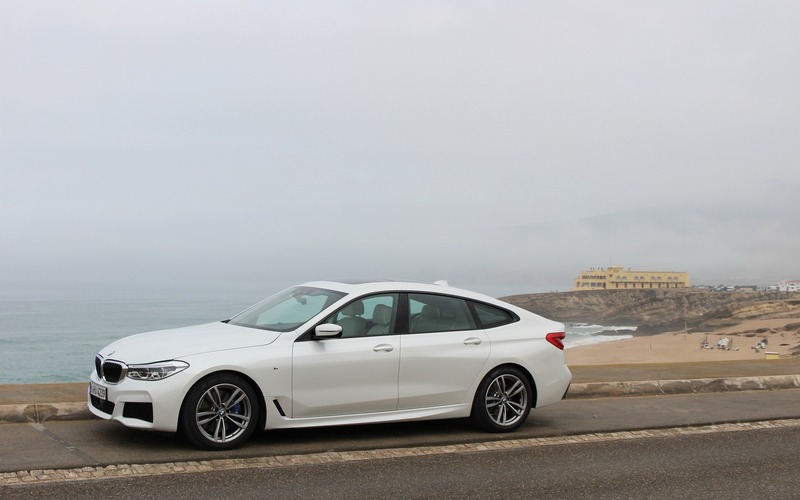 SINTRA, Portugal – A lot is going on at BMW these days, including the reorganisation of the company’s midsize product portfolio. 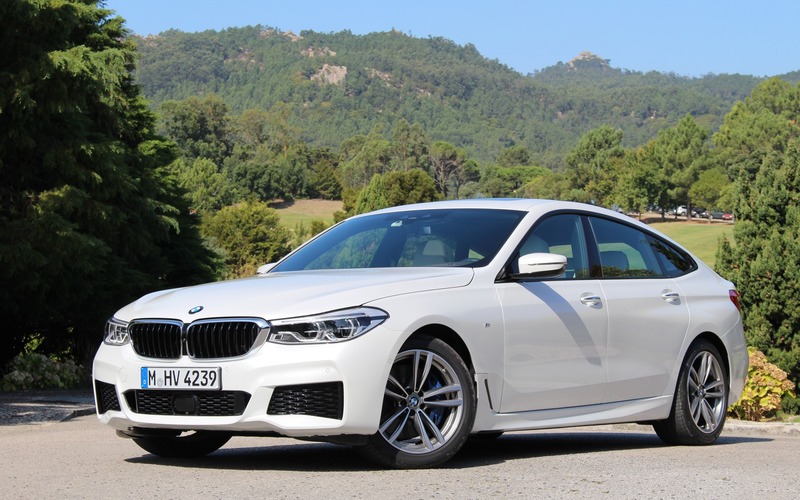 After launching the latest generation of the 5 Series sedan last year, the German brand is adding a few more variations for 2018, such as the 530e plug-in hybrid, the M550i xDrive as well as the mighty M5. More choice is never a bad thing, especially when your rivals are called the Mercedes-Benz E-Class, the Cadillac CTS and the Audi A6. BMW also decided to reposition the 6 Series in order to bridge the price gap between the 5 Series and the 7 Series. This is where the new 2018 BMW 6 Series Gran Turismo slots in. It’s a five-door, fastback-style sedan that succeeds the 5 Series GT, sold between 2010 and 2016. It will sit alongside the 6 Series Coupé, Cabriolet and Gran Coupé—but not for long, as they will be replaced by the new 2019 BMW 8 Series. Also: BMW Concept X7 iPerformance: A First Ever SUV from BMW i! All these moves raise some questions. Why not simply reintroduce a redesigned 5 GT and dump the 6 line altogether? Because the new 6 Series GT shares a lot of stuff with the 5, but rides on the 7 Series’ longer platform. Also, because the Gran Turismo is meant to battle the five-door Audi A7, positioned between the A6 and the new, 2019 Audi A8. There will be only one powertrain for the 2018 BMW 640i xDrive Gran Turismo in Canada. It’s equipped with a turbocharged, 3.0-litre inline-six that develops 335 horsepower and 332 pound-feet of torque, connected to an eight-speed automatic transmission and—of course—all-wheel drive. According to BMW, the car can catapult itself from 0 to 100 km/h in 5.3 seconds. It’s not a rocket, but it’s plenty fast. Comparisons with the old 5 Series GT are inevitable. Its wheelbase still spans 3070 millimetres, which translates into enough room for front-seat occupants, but lots of space for folks riding in the back seat. If we’re frequently driving long distances with four adults on board, the 6 GT will prove amazingly comfortable. Although the car doesn’t share the Carbon Core platform of the current BMW 7 Series, the company’s engineers still managed to shave 150 kilograms (330 pounds) of weight by, among other things, eliminating the complex and heavy, dual-hinged liftgate of the 5 GT for a simpler, one-piece hatch. The company claims that owners of the previous GT are extremely satisfied with their vehicle, of course, but rarely opened the trunk-only portion of the liftgate when they loaded up their gear and groceries. Reverting to a conventional hatch also meant ditching the divider panels that were installed right behind the rear seatbacks, which were created to prevent drafts from bothering occupants when only the trunk portion of the liftgate was opened. Those rear-seat passengers still get treated to power-adjustable seatbacks, heated outboard seat cushions and the added airiness of the standard panoramic sunroof. The cargo cover is actually composed of two separate panels, including one attached to the liftgate itself. Both can be removed and neatly stowed under the cargo area floor. With the rear seatbacks in place, cargo volume is rated at 610 litres, but can reach 1 800 litres when the seats are folded down, and there are release switches on the inside edges of the trunk opening to quickly create a flat load floor. As its name implies, the 640i xDrive Gran Turismo is all about long-distance cruising in utter comfort and serenity. The drive mode system includes Eco Pro and Sport settings, but no Sport Plus mode. 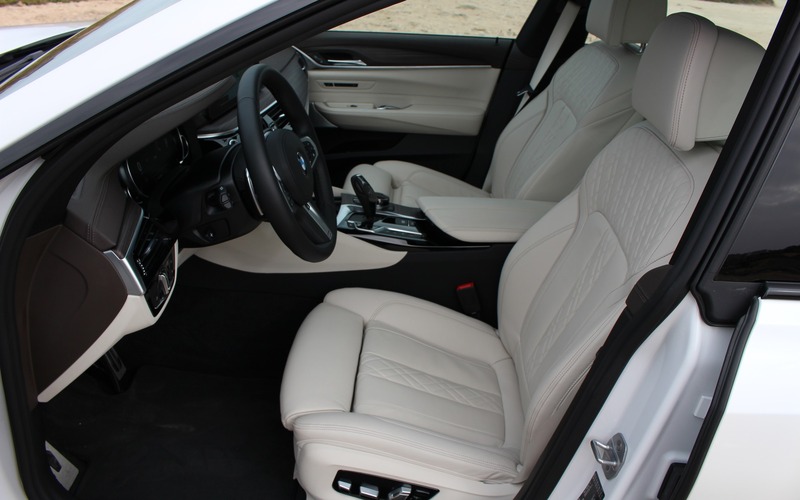 Rather, it features Comfort and Comfort Plus modes, the latter giving the car a creamy—dare we say bouncy—ride, which isn’t what we expect from BMW vehicles. Yet this sedan will aim to please U.S. and Chinese customers, who aren’t necessarily looking for sportiness in their “ultimate driving machine.” Let’s just say that the regular Comfort mode is fine, and the owner can also customise performance and handling settings using the Individual mode. The 2018 BMW 6 Series GT can also be equipped with the Advanced Driver Assistance Package, which adds electronic aids such as Driving Assistant Plus as well as Steering and Lane Control. Basically, the car is able to steer itself on the highway, and will function for 50 seconds at a time without detecting steering wheel input from the driver. We tried it and it works, but know that this is a semi-autonomous driving feature that isn’t meant to replace the person behind the wheel. However, when the system is fully activated, steering feel is vague and the wheel has a tendency to squirm in our hands as the car’s electronic babysitters try to perform their duties. Fuel economy numbers aren’t available as we were writing these lines. However, the BMW 540i’s city/highway figures at set at 11.4/7.8 L/100 km, so the 6 Series GT’s ratings should probably be a tenth or two higher, given its higher curb weight. Base price is set at $76,700 before freight and delivery charges, although one could option up the car to more than $100K be adding features like night vision, a rear-seat entertainment system, a Bowers & Wilkins Diamond surround sound system, nappa leather upholstery as well as a Premium Package that bundles soft-close doors, ventilated and massaging front seats, an advanced park assist system and more elaborate BMW ConnectedDrive services. The other 6 Series variants are priced from $90K to $130K, but as we mentioned earlier, they will soon be replaced, so the 6 Series line will actually move down to a more accessible price level. 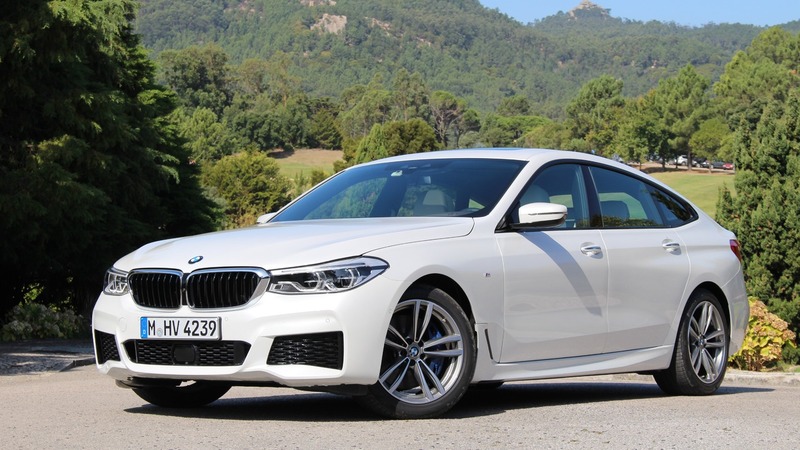 On sale in Canada before the end of the year, the 2018 BMW 640i xDrive Gran Turismo likely won’t be a volume seller, simply because of its hatchback body style and the fact that consumers currently have a fondness for SUVs. Also, if you’re waiting for a next-generation M6 or a spiritual successor to the 635CSi of the ‘80s, you’ll be disappointed. However, the car’s styling is a vast improvement over the old 5 Series GT, due to its lower roofline, longer rear end and more dynamic profile, so we expect the 6 GT to be slightly more popular. If a 5 Series is too small and a 7 Series is too expensive, this new 6 Series could be an interesting in-between. 7/10	Pretty efficient, despite the size and output of the car. 10/10	Buttery smooth ride and cabin quietness; the perfect car for long-distance cruising. 7/10	Fast, but not violent. Well-suited to its mission as a GT. 8/10	The latest generation of iDrive is better than ever, easy to use and featuring a large touchscreen display. 6/10	Doesn’t have the sportiness we usually expect in a BMW. Does it matter? 8/10	A versatile and luxurious GT that doesn’t break the bank. Sort of.